During his hour and a half press conference this morning at the White House, President Trump was asked by reporters if there would be any personnel changes coming soon within his administration. He responded by explaining that personnel changes after a midterm election are quite common, but gave no answer as to who would be leaving. 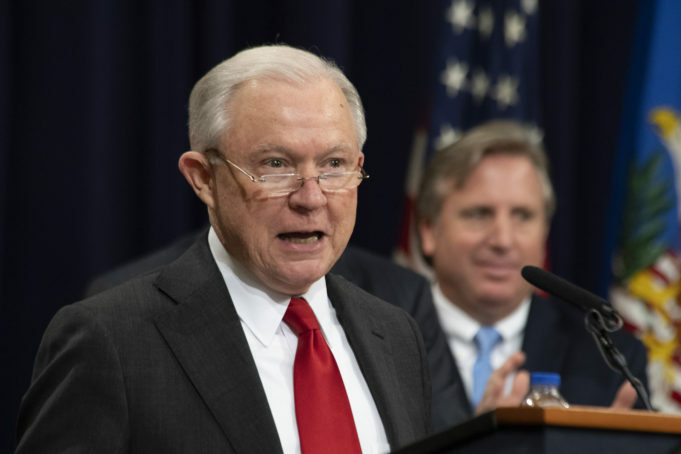 On Wednesday afternoon, Attorney General Jeff Sessions gave his resignation letter to President Donald Trump, following months of infighting between the two. The move ends what could be described as a tumultuous career as the nation’s top law enforcement officer, often criticized by President Trump on Twitter. During his hour and a half press conference this morning at the White House, President Trump, while speaking to the effects of Democrats regaining the majority in House of Representatives, he was asked by reporters if there would be any personnel changes coming soon within his administration. He responded by explaining that personnel changes after a midterm election are quite common, but gave no answer as to who would be leaving. Sessions’ resignation came less than one hour after the press conference. The former Alabama senator was one of the earliest supporters of then-candidate Trump during the 2016 presidential election. However, once being elected as president, the good relationship between Trump and Sessions quickly took a downturn, beginning with the attorney general recusing himself from the investigation into Russian interference in the 2016 election. Politicians from both sides of the aisle have warned President Trump about selecting a new attorney general in the middle of the Mueller investigation, fearing that such an action would weaken the sensitive probe, but some have warmed in recent weeks. A new nominee will undoubtedly be closely investigated, but no one has yet to be named. Considering Republicans picked up at least three seats in the Senate last night in states that Trump carried in 2016, the confirmation process will most likely be less strenuous on the nation than was seen with Supreme Court Associate Justice Brett Kavanaugh.